Ram Charan is busy shooting for Dhruva these days and he is also overseeing the production formalities of his father Megastar Chiranjeevi’s comeback film, Khaidi No 150. Amidst such a busy schedule, Charan has found some time for a noble cause. Charan released a video a short while ago in which he expressed his happiness and excitement on being invited by Republican Hindu Coalition’s (RHC) Chairman Shalli Kumar to perform live in the Humanity United Against Terror event at the PNC Art Centre, New Jersey on the 15th of October. This is a charity event and the entire proceedings will be donated to terror victims. 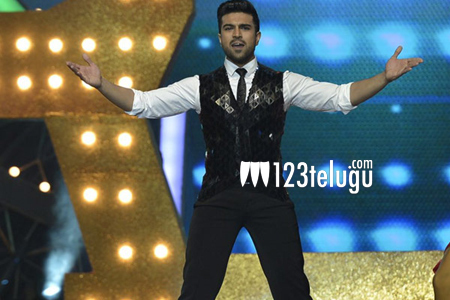 Incidentally, this will be Ram Charan’s first ever live performance in the US.